Easily 80+ opened...1 3* Grimlock to show for it. Granted, I got a 4* out of the Grimlock daily card(which is the only reason I tried so hard on the King crystals hoping for a dupe). Bah....I should have known better though, been playing MCOC and now this for a long time. Damnit Kabam...ya got me. And that's exactly why I don't open featured crystals. 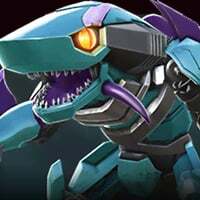 lol that 4* Grimlock is worth USD99 if based on their last promo sales of 4* MV1.. it has that price tag. I feel you. 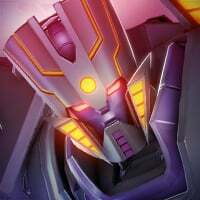 I opened 42 Hippocratic crystals going for ratchet and didn't get him, or any 4* bot for that matter. Was the only crystal I was waiting for and was willing to spend on. First and last time I do that. I'm a little salty, but I also knew what I was buying. Lesson learned. it's all RNG, some players opened 1 and they get Grimlock 4* already. Don't expect too much. Simple solution if the risk for your isn't worth the benefit don't spend money. Especially if you don't have the disposable income to do so. The only person slapping your face is YOU! So in the immortal words of Bart Simpson "stop hitting yourself, stop hitting yourself, stop hitting yourself." 12k energon, WTF bro. I kind of envy you, money seems no objection for you. I honestly think twice before I buy a 20$ crystal pack. I find only making a rare purchase gives you the best results. Also popping a large amount rather than spinning them. Amen to that, although I have been fortunate and was able to nab a grimlock with just 5 crystals. But a tip, i have found that when you open crystals closer to the time when the timer reads "00", say with in five minutes or so, you have a good chance of getting the featured bot. Also if you wait to open the crystals when a new featured bot crystal is presented, you can grab the feature bot in at least a 3* version. 4* are a crap shoot. try to get 4* crystal shards, best way to get a 4* but can be expensive. I stopped spending after I got enough 3* bots maxed out. Moron. They say a fool and his money are soon parted..... I haven't spent any money on crystals... I will let you draw your own conclusions. How is someone a fool if they're enjoying spending it? Totally agree, but then don't complaining online that you have 'been slapped in the face.' It was choice to spend the money. We all know the odds are not good of pulling the bot you want, but that is part and parcel of the experience. If you don't like the odds don't spend the dosh. 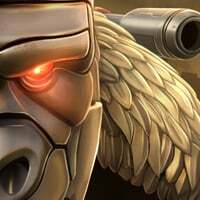 The comment I was referring to said I feel Kabam slapped me in the face because the drop rates for three and four star bots are so low. That to me is like saying I bought I lottery ticket and didn't win, the gaming commission slapped me in the face. You have the right to feel foolish if you spent money and didn't pull what you wanted.